This Notice will be effective as of January 18, 2012, revised September 23, 2015. 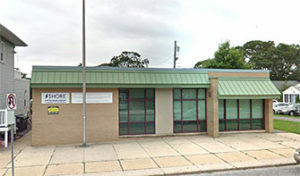 Privacy Office at 609-926-4300 or 609-653-3812. 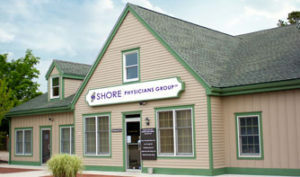 Shore Physicians Group understands that information about you is personal and we are required by law to maintain the privacy of individually identifiable patient health information which is referred to as “protected health information” (PHI). We create and maintain a record of your protected health information regarding the care and services you receive at our practice. We need this record to provide you with quality care and to comply with certain legal requirements. 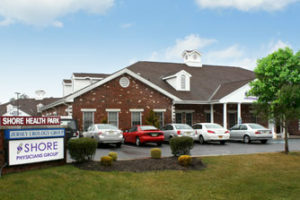 This Notice applies to all of the records of your care generated by Shore Physicians Group. This Notice will tell you about the ways in which we may use and disclose your PHI as well as your rights and certain obligations we have regarding these uses and disclosures. assure your protected health information is kept private. give you this Notice of our legal duties and privacy practices with respect to your protected health information. 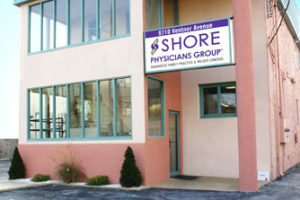 This Notice describes the practice of Shore Physicians Group, its health care professionals, including physicians, nursing staff and others authorized to document in your medical record, process insurance, billing or any other information related to your treatment, payment or our practice operations as described in this Notice. The following are categories or special situations that describe the different ways that we may use and disclose your protected health information. For each of the categories we will explain what we mean and provide some examples. Not every use or disclosure in a category will be listed. However, all of the ways we are permitted to use and disclose your protected health information will fall within one of the categories. 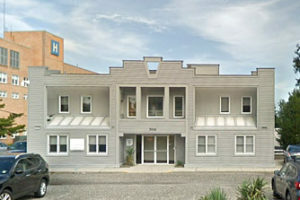 Our practice may use your protected health information to provide you with medical treatment or services. We may disclose your information to physicians, nurses or other personnel within our practice who are involved in providing you treatment or services. For example, we may use your PHI in order to write a prescription. We may disclose your PHI to a pharmacy to order a prescription or to other care providers to coordinate the treatment and services you need, such as prescriptions, lab work, x-rays. We may also disclose your protected health information to others who may assist in your care, such as your spouse, children, parents or care providers outside of this practice. We may use and disclose your protected health information so that the treatment and services you receive at the hospital may be billed to and payment collected from you, an insurance company, or a third party. We may use and disclose PHI to operate our business. These uses and disclosures are necessary to run this practice and make sure that all our patients receive quality care. For example, we may use medical information to review our treatment and services and to evaluate the performance of our staff in caring for you. We may also combine medical information about many patients to decide what additional services we should offer or if new treatments are effective. We may remove information that identifies individuals from a set of medical information to study health care and health care delivery without knowing who the specific patients are. Also, we may ask that you sign-in so that we know you have arrived and are awaiting your appointment or test. Our personnel may call your name in the waiting room to let you know that our staff is ready to see you. We may use and disclose your protected health information to contact you as a reminder that you have an appointment for treatment, testing, or medical care. We may use and disclose your protected health information to tell you about or recommend possible treatment options or alternatives that may be of interest to you. We may use and disclose your protected health information to tell you about health-related benefits or services that may be of interest to you. We may also disclose your protected health information to others who may assist in your care, such as your spouse, children, parents or friends. For example, a parent or guardian may ask that a baby-sitter take their child to the physician’s office for a treatment; the baby-sitter will have access to this child’s PHI. We may also give information to someone who helps pay for your care. 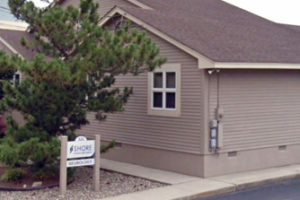 Shore Physicians Group and other health providers participate in an electronic Health Information Exchange (HIE). We and the other participants may use, disclose and access your information through the HIE for the purpose of treatment, payment and operations to the extent permitted by law. You have the right to “opt-out” or decline to participate in the HIE and we will provide you with this right at the earliest opportunity. If you choose to opt-out, your information will continue to be used in accordance with the Notice and the law. However, your information created after the opt-out will not be maintained in HIE. You also have the right to rescind your opt-out. notify an individual who may have been exposed to a disease or may be at risk for spreading or contracting a disease or condition. We may disclose your protected health information to a health oversight agency for activities authorized by law. These oversight activities may include, for example, audits, inspections, and licensure or certification surveys. These activities are necessary for the government to monitor the health care system, government programs, and compliance with civil rights laws. We may disclose your protected health information to courts or administrative agencies charged with the authority to hear and resolve lawsuits or disputes. We may disclose your protected health information in response to a subpoena, discovery request, or other lawful process by someone else involved in the dispute, but only if efforts have been made to tell you about the request or to obtain an order protecting your health information. We may use or disclose your protected health information, when necessary, to prevent a serious threat to the health or safety of you or other individuals. Any such use or disclosure would be made solely to the individual(s) or organization(s) that have the ability and/or the authority to assist in preventing the threat. We may disclose your protected health information to worker’s compensation programs when your health condition arises out of a work-related illness or injury. We may use or disclose your protected health information to authorized organ/tissue procurement organizations as necessary to facilitate organ, eye or tissue procurement, banking, or transplantation. We may disclose your protected health information to a coroner or medical examiner in order to, for example, identify a deceased person or determine the cause of death. We may also release your medical information to funeral directors, as necessary, to carry out their duties. We may disclose your protected health information as required by military command authorities if you are a member of the armed forces. We may also release medical information about foreign military personnel to the appropriate foreign military authority. We may disclose your protected health information to authorized federal officials for intelligence, counterintelligence, and other national security activities authorized by law. We may disclose your protected health information to authorized federal officials so they may provide protection to the President of the United States of America, other authorized persons or foreign heads of state or to conduct special investigations. We may use or disclose your protected health information for purposes other than treatment, payment, our operations or the other purposes described above, only after receiving your written authorization. For example, in order for us to send your information to your life insurance company, you would need to sign our HIPAA Authorization Form and tell us what information you would like to be sent. You have the right to revoke a written authorization at any time as long as your revocation is provided to us in writing. If you revoke your written authorization, we will no longer use or disclose your protected health information for the purposes identified in that authorization. You understand that we are unable to retrieve any disclosures that we may have made pursuant to your authorization before you provided us with written revocation. HIV/AIDS information. In most cases, we will NOT release any of your HIV/AIDS related information unless your authorization expressly states that we may do so. However, there are certain purposes for which we may be permitted to release your HIV/AIDS information without obtaining your expressed authorization, such as mandatory reporting to the NJ State Department of Health and Senior Services. Sexually transmitted disease information. We must obtain your specific written authorization prior to disclosing any information that would identify you as having or being suspected of having a sexually transmitted disease. 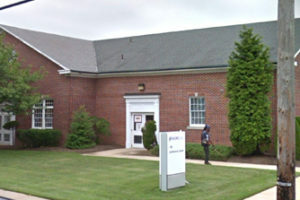 However, we may use and disclose information related to sexually transmitted diseases without obtaining your authorization only where permitted by law, including reporting to NJ State Department of Health and Senior Services, your physician or to health authority, such as a local board of health. Tuberculosis Information. We must obtain your specific written authorization prior to disclosing any information that would identify you as having or being suspected of having tuberculosis (TB). However, we may use and disclose information related to TB without obtaining your authorization where authorized by law, such as to the Commissioner of the New Jersey State Department of Health and Senior Services. Mental Health Information. We must obtain your specific written authorization prior to disclosing certain mental PHI or information that would identify you as having a mental health condition. However, we may use and disclose information related to mental health without obtaining your authorization only where permitted by law, including for public health purposes such as reporting of child or elder abuse or neglect. Genetic information. We must obtain your specific written authorization prior to using or disclosing your genetic information for treatment, payment or health care operations purposes. However, we may use or disclose your genetic information, or the genetic information of your child, without your written authorization only where it would be permitted by law, such as in order to determine paternity as required by a county welfare agency or ordered by a court, to determine the identity of deceased individuals. Information related to emancipated treatment of a minor. If you are a minor who sought emancipated treatment from us, such as treatment related to your pregnancy or treatment related to your child, or a sexually transmitted disease, we must obtain your specific written authorization prior to disclosing any of your PHI related to such treatment to another person, including your parent(s) or guardian(s), unless otherwise permitted or required by law. You have the right to inspect and to a copy of your protected health information that may be used to make decisions about your health care. Usually this includes medical and billing records, but does not include psychotherapy notes. To inspect and/or receive a copy of your protected health information, you must submit your request in writing to the Shore Physicians Group Privacy Office. If you request a copy of your protected health information, we may charge a fee for the costs of copying, mailing or other related supplies or expenses. We may deny your request to inspect or copy your protected health information in certain limited circumstances. If you are denied access to your health information, you may request that the denial be reviewed. The person conducting the review will not be the person who denied your request. We will comply with the outcome of the review. If we maintain your record in an Electronic Medical Record (EMR), you have a right to request a copy in an electronic format if readily producible. To amend protected health information means to correct or update. If you believe that protected health information we have about you is incorrect or incomplete, you may ask us to correct or update the information. You have the right to request an amendment for as long as the information is maintained by or for the practice. To request an amendment your request must be made in writing and submitted to the Shore Physicians Group Privacy Office. In addition, you must provide us with a reason that supports your request. To inspect, receive a copy, or amend your protected health information for services or treatment received Shore Physicians Group please write to Shore Physicians Group Privacy Office at 1 E. New York Avenue, Somers Point, NJ 08244. You have the right to request an accounting (a list) of the disclosures that we have made of your protected health information. This accounting will not include disclosures of your protected health information that we made for purposes of treatment, payment, or health care operations or for disclosures we made that you authorized us to make. To request this accounting (list) of disclosures, you must submit your request in writing to the Shore Physicians Group Privacy Office. Your request must include a time period, which may not be longer than six years and may not include dates before April 14, 2003. The first list you request within a 12-month period will be free of charge. For additional lists, we may charge you for the costs of providing the accounting. We will notify you of the cost involved and you may choose to withdraw or modify your request at that time before any costs are incurred. You have the right to request a restriction or limitation on your protected health information that we use or disclose about you for treatment, payment, or health care operations. You also have the right to request a limit on your protected health information we disclose about you to someone, such as a family member or friend, who is involved in your care or in the payment of your care. For example, you could ask that we not use or disclose information regarding a particular treatment that you received. However, we will grant your request when it relates solely to disclosure of your PHI to a health plan or other payor for the sole purpose of payment or health care operations for a healthcare item or service that you have paid us out-of pocket and in full. 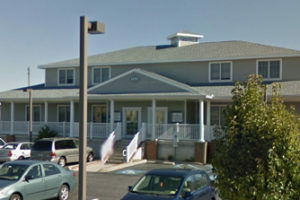 To request restrictions, you must make your request in writing to the Shore Physicians Group Privacy Office. In your request, you must include (1) what information you want to limit; (2) whether you want to limit our use, disclosure or both; and (3) to whom you want the limits to apply, for example, disclosures to your spouse. 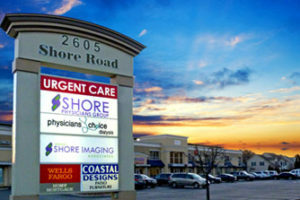 You have the right to request that Shore Physicians Group communicate with you about your health care in a certain way or at a certain location. For example, you can ask that we only contact you at work or by mail. To request confidential communications, you must make your request in writing to the Shore Physicians Group Privacy Office. We will not ask you for the reason for your request. We will accommodate all reasonable requests. Your request must specify where and how you wish to be contacted. In accordance with law, we will notify you if there is a breach of your unsecured Protected Health Information and inform you of what steps you need to take to protect yourself. You have the right to a paper copy of this Notice. You may ask us to give you a copy of this Notice at any time. To obtain a paper copy of this Notice, contact the Shore Physicians Group Privacy Office or mail a written request to Shore Physicians Group Privacy Office. 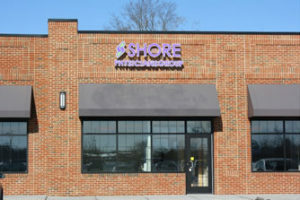 Shore Physicians Group reserves the right to change this Notice. We reserve the right to make the revised or changed Notice effective for protected health information we already have about you as well as information we receive in the future. We will post a copy of the current Notice on our premises. The Notice will contain the effective date below the header on the first page of this Notice. In addition, each time you come in for a service, we will make available a copy of the current Notice in effect. If you believe your privacy rights have been violated, or you disagree with a decision we made about access to your protected health information, you may file a written complaint with the Shore Physicians Group. You will not be penalized for filing a complaint.